Only the electric motors are used to initiate start-up and driving at low speeds. As the vehicle moves off, power is sent from the battery to the electronic control unit. The electronic control unit sends power to the front and rear electric motors. At cruising speeds, the front wheels are driven by the engine and the motors. A power split device splits engine power between the wheels and the electric generator. The power distribution is controlled for maximum efficiency. The generator sends power to the front motors, and when necessary, recharges the battery using surplus power. The engine provides power as it would when cruising, but receives additional power from the front and rear motors. Engine power is also directed to the generator, which is able to redirect surplus power to electronic control unit. Kinetic energy produced during braking is captured and sent to the electric motors. The kinetic energy is sent as electrical energy from both motors to the electronic control unit. Electric energy is then returned to the battery from the electronic control unit. A POWERFUL STATEMENT Lexus Hybrid Drive is an advanced gas-electric hybrid system that delivers significant environmental benefits without sacrificing power or performance. In fact, Lexus Hybrid Drive produces more horsepower than a standalone gasoline engine of equal size. THREE OPERATING MODES Depending on power requirements, Lexus Hybrid Drive operates in three modes - electric motor only, engine only, or engine and motor combined. Whether working alone or in conjunction with the engine, the powerful motor(s) minimize engine use to significantly reduce harmful emissions and increase fuel efficiency. RESPONSIVE PERFORMANCE Lexus hybrids deliver an exceptionally quiet ride and smooth, responsive acceleration. 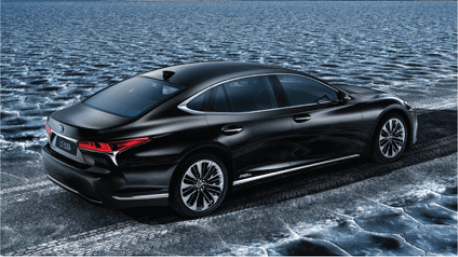 The Lexus Hybrid Drive system switches so seamlessly between operating modes that changes during acceleration or deceleration are virtually undetectable. FUEL EFFICIENCY Lexus Hybrid Drive vehicles are significantly more efficient than their non-hybrid counterparts. While fuel consumption is lower for both city and highway driving, city driving requires less fuel because the electric motors are often used exclusively at low speeds. LOWER EMISSIONS Lexus Hybrid Drive vehicles offer significantly lower emissions than non-hybrids powered exclusively by comparable gasoline engines. Our ever-improving hybrid technology delivers reductions in both airborne pollutants and greenhouse gases. GETTING STARTED Lexus Hybrids never need to be plugged in. They recover and generate power while you drive, automatically recharging the Hybrid battery. When you’re ready to go, simply press the Power button, and your journey can begin. ACCELERATION Unlike some Hybrid systems, Lexus Hybrids are capable of operating with the gas engine only, electric motor only, or a seamless and extremely efficient combination of both. When you accelerate, the electric motor works on its own to drive the wheels. For rapid acceleration, or as you require more power to increase your speed, the gas engine assists the electric motor. CRUISING A revolutionary Electronic Control Unit (ECU) controls the energy flow between the gas-powered combustion engine, advanced electric motor and high-capacity battery. When you reach your cruising speed, the power from the gas engine is split between the wheels and an electric generator that drives the electric motor. Excess energy used to recharge the Hybrid battery, minimizing energy waste. DECELERATING/BRAKING The gas engine switches off immediately, stopping the creation of CO2 emissions, when you take your foot off the gas pedal or press the brake pedal. In response, the electric generator creates resistance to reduce the vehicle cruising speed. The electricity generated by this resistance is redirected to recharge the Hybrid battery. STOPPING Stop - at a red light, for example. With only the electric motor active, your Lexus Hybrid is silent and emits no emissions. If the Hybrid battery is running low, the gas engine intuitively starts, generating the energy required to replenish the battery. This is just one of the reasons that Lexus Hybrids are up to 70% cleaner than gas burning engine and diesels. Even when stopped, you can run systems like air conditioning from the Hybrid battery. To avoid running down, the gas engine can intuitively start, generating the energy required to replenish the battery. THERE ARE MANY MYTHS SURROUNDING HYBRIDS. LET’S TAKE A MOMENT TO CLEAR THE AIR. Not true. Many hybrids deliver more horsepower than conventional gas-only vehicles. In fact, the Lexus RX 450h offers an impressive 308 net horsepower, compared to the RX 350’s 295 net horsepower. The LC 500h is comparable of taking you from 0 to exhilaration in under 5 seconds. There is an initial added cost outlay, but it’s not nearly as significant as you might think. You’ll also benefit from reduced service costs and fuel savings. 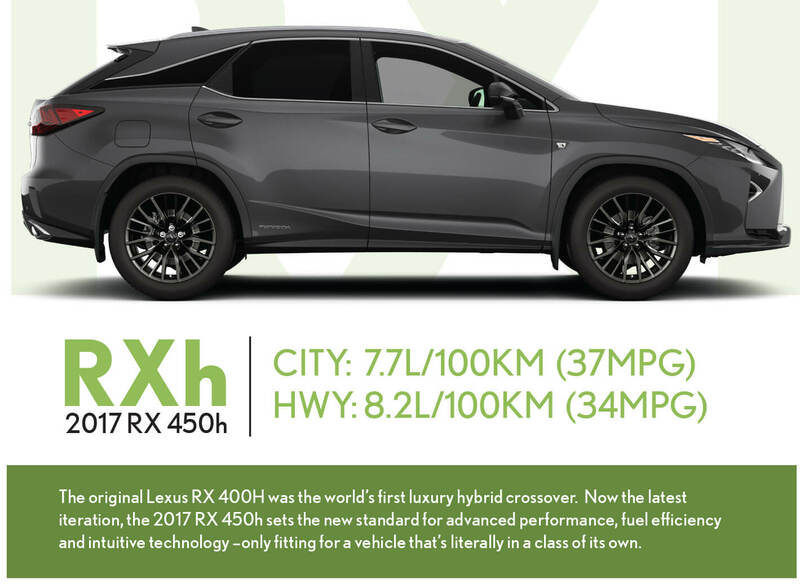 For example the Lexus RX 450h gets about 40% better fuel-economy in city driving than its conventional cousin, the RX 350. False. More and more people from all walks of life are embracing hybrid technology every year. As of February 2017, over 10 million people have purchased our hybrids. And hybrid sales continue to increase exponentially every year. We are currently in our fifth generation of hybrid vehicles with no end in sight. You’ll never have to plug in your Lexus hybrid, they are self charging. When you coast or step on the brake, the battery regenerates itself. No need for an electrical outlet. Ever. While gas-electric hybrid is not the only answer, it currently may be the best. For example, Lexus hybrids are up to 70% cleaner than gas burning engines and diesels or almost 3 times cleaner than the cleanest diesels ‘that are currently being touted as ‘environmentally friendly’. Not all hybrid systems are created equal. Mild hybrids offer electric and gas power, but the gas engine must run at all times when the vehicle is in motion. Lexus Hybrid Drive is a full hybrid system capable of starting, steadily accelerating, and even running at low-speeds in electric-only mode. When you stop at the lights, take your foot off the accelerator, or even when you begin decelerating, the gas engine turns itself off resulting in a “zero-emission” state. Most have the perception that a hybrid has to look a bit odd or futuristic. In fact, our hybrid vehicles look and operate exactly the same as conventional vehicles. The only difference you’ll notice (other than a beautiful quiet ride and less stops for fuel) is the letter ‘h’ for hybrid on the badge. False. Lexus Hybrid Drive is proven technology incorporating numerous safeguards to help ensure the safety of drivers and emergency response professionals in the event of an accident. Including automatic disablement mechanisms to guarantee that the lines have no voltage in them if a collision should occur. 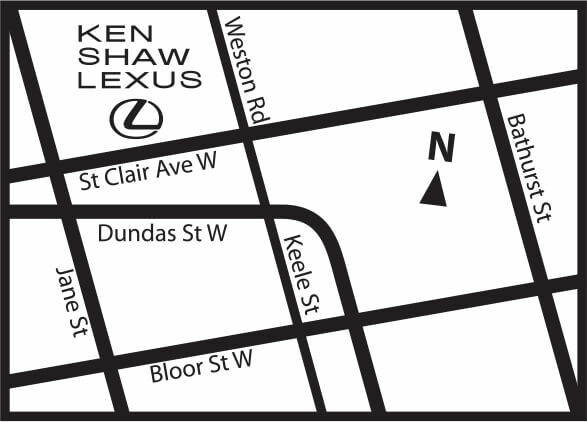 warranted for an exceptional 8 years or 160,000 km from the vehicle’s in-service date. Batteries will often last the life of the car. 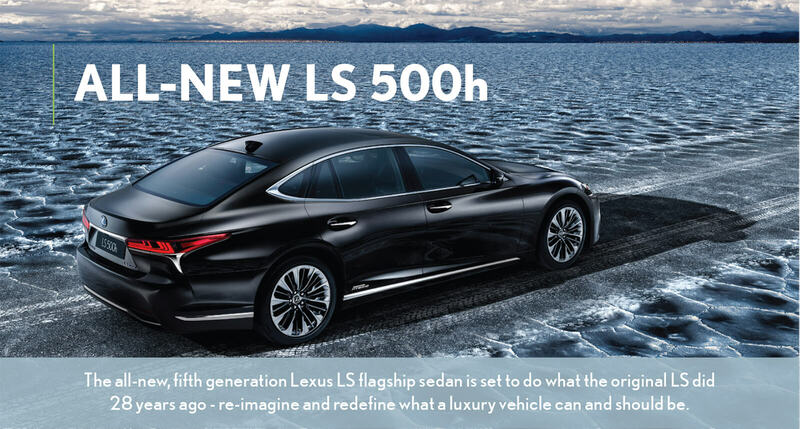 The LC 500h and the LS 500h will introduce a new compact lithium battery based system that enhances performance. Hybrid vehicles are as dependable as our gas-only powered vehicles. This is the result of over 40 years of relentless research and improvements by our engineers. In fact, the regenerative braking process aids deceleration reducing wear and tear on the brake components resulting in less frequent maintenance. Introducing an all-new Lexus Multi-Stage Hybrid powertrain that’s been designed specifically for high-performance vehicles. Built around a 3.5L V6 and a state of the art Lithium-Ion hybrid battery, this hybrid system delivers 354 hp and impressive torque figures across a wider range of engine speeds. It’s coupled to a continuously variable transmission mated to a four-speed automatic gearbox to closely align engine RPMs with throttle inputs. LC 500h drivers can manually select from 10 speed steps to deliver a surprisingly sharp connection between the accelerator pedal and vehicle response.